Junk food, haute cuisine, fresh fruits or ready dishes: food is an experience everyone lives every day. For the photographers we have selected, food develops into a new aesthetic form that makes the human presence before the lens incidental, if not completely useless. From an everyday and "trivial" object to a consumed, architectural and colourful subject, mediated only by a photographic technique that is precise, neat and unsentimental, food is the protagonist in Soup of Flies, the exhibition organised by POMO Galerie and curated by Disturber. Daniel Evans and Brendan Baker are a London-based photographic duo. Their work is focused mainly on fashion and still life, and it's consistently characterised by bright colours, striking compositions and a healthy dose of surrealism. Photographs by Evans and Baker has appeared in in a variety of publications such as Nowness, Wallpaper, Dazed & Confused, The Gourmand, SUP, Bloomberg Business Week. Pietro Cocco was born in 1986 and currently lives and works between Milan and New York as a photographer and videographer. A graduate from the Italian Institute of Photography, he collaborates with designers, brands, and magazines such as Vogue Italia, Vespa, and Peroni. Irony, researched composition and color are some of the tools used in his artistic research that often influence his approach to commercial work. Bea De Giacomo is a photographer based in Milano, Italy. Since 2011 she also serves as the Photo Editor of Vice Italy and among her commercial and editorial clients are Wallpaper*, Kaleidoscope Press, Hunter, Interview, Slam Jam, DePadova, Yoox, Rivista Studio and Larcobaleno. Italian photographer Maurizio Di Ioriogave up a lucrative career in advertising to pursue his calling as a full-time photographer. His photographs has appeared in publications such as It's Nice That, VICE Italy, The Debrief UK, Neon Magazine, Max Germany. For almost a year he has been devoting himself almost exclusively to still life with a language marked by graphic composition and a bold use of color. He’s also set up his own photography magazine, Disturber, aimed at promoting young photographic talent worldwide. David Brandon Geeting lives and works in Brooklyn, NY and holds a BFA in Photography from the School of Visual Arts. Born and raised in suburban Bethlehem, PA, Geeting finds his inspiration in middle class luxuries, cheap entertainment, and improvised remedies for boredom. Through an informal, spontaneous practice incorporating documentary photography, household still life photography and unrefined readymade sculpture, his work uncovers aesthetic potential in the everyday, revealing a world of visual possibilities that are at once eerie and endearing. Go Itami is a photographer based in Tokyo. His body of work is made up of fragmented visions of street corners, shots of reflections on glass windows, and almost abstract views of the body. Itami has a meticulous eye, careful to lines, composition and light quality; he's a master in changing casual moments of daily life into exceptionally beautiful images. Stephanie Gonot is a photographer and curator based in Los Angeles. 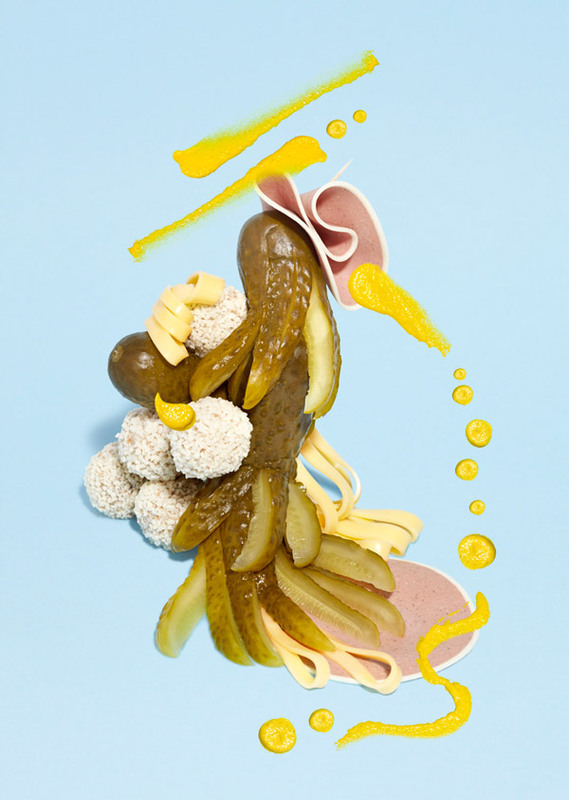 Gonot's photographs are deceptively simple; her latest series consists of images that desecrate and usurp reality by combining a thematic obsession (food) and an aesthetic vision both original and personal (a predilection for pop colours of modernist taste). They are pictures that show us an “inflated” reality with new points of view and without empty clichés. Aaron Tilley is a still life photographer who's graphic and conceptual style attracts editorial and commercial clients, both nationally in the UK and internationally. In this work he take familiar objects and places them in unexpected contexts, resulting in bold and thought-provoking images. For clients such as British GQ, Google, Esquire magazine and The Guardian. Aaron enjoys collaborating with other artists, such as set designers and illustrators. And also often works alone on smaller projects. Wyne Veen is a Dutch artist working in the photographic medium; she graduated from the Royal Academy of Fine Arts in 2008 and maintains a studio in the Red Light district of Amsterdam. Veen’s work consists of sculptural arrangements, utilizing everyday objects and their isolated materials. The work possesses an aesthetic and absurd appeal. Inspired by all things overly developed, Veen is fascinated by our highly manufactured lives, while also endlessly drawn to all the steps of the production process.